— Daily Freeman-Journal photos by Billie Shelton Abby Olsen,10, comes with her family from Lonsdale, MN each year for Watermelon Day. 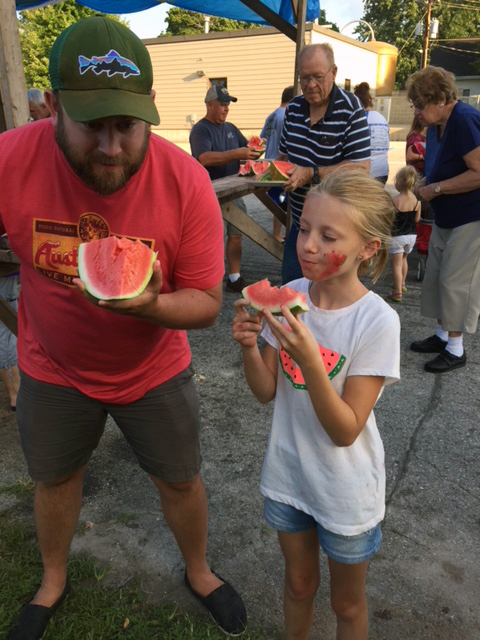 Here she enjoys some juicy melon with her uncle Greg Nass, who surprised his family by flying in from Seattle for the event. STANHOPE – Mother Nature smiled on Stanhope Saturday with cool, sunny and dry conditions for the 61st annual Watermelon Day. The celebration is part family reunion and part carnival, with plenty of simple, homegrown fun that’s all centered in the town park. A morning parade that this year featured about 60 entries kicked off the event that is sponsored by the Stanhope Lions Club. 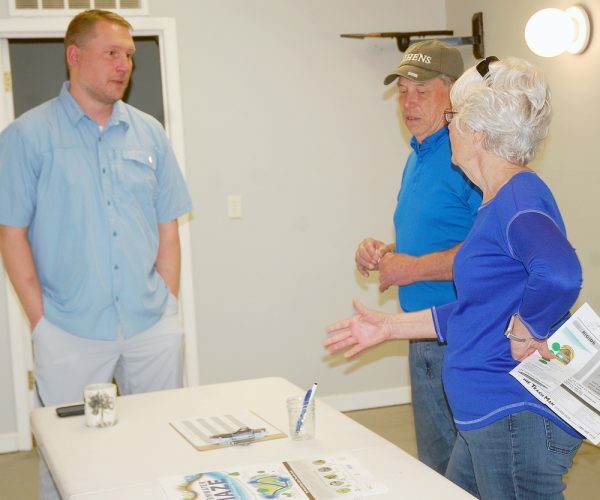 Townspeople and the local fire department are involved in countless ways before, during and after Watermelon Day to make sure the event is a success for the hundreds of all ages who come from all around to make it part of their summer. Another feature of the celebration is a slow-pitch softball tournament that draws so many teams from a wide area that this year games were played on the park ball diamond starting mid-week and continuing throughout the day and evening on Watermelon Day. Some 145 alumni of Stanhope School, where the last class graduated in 1962, gathered Friday evening at the local community center for the school’s annual alumni banquet.